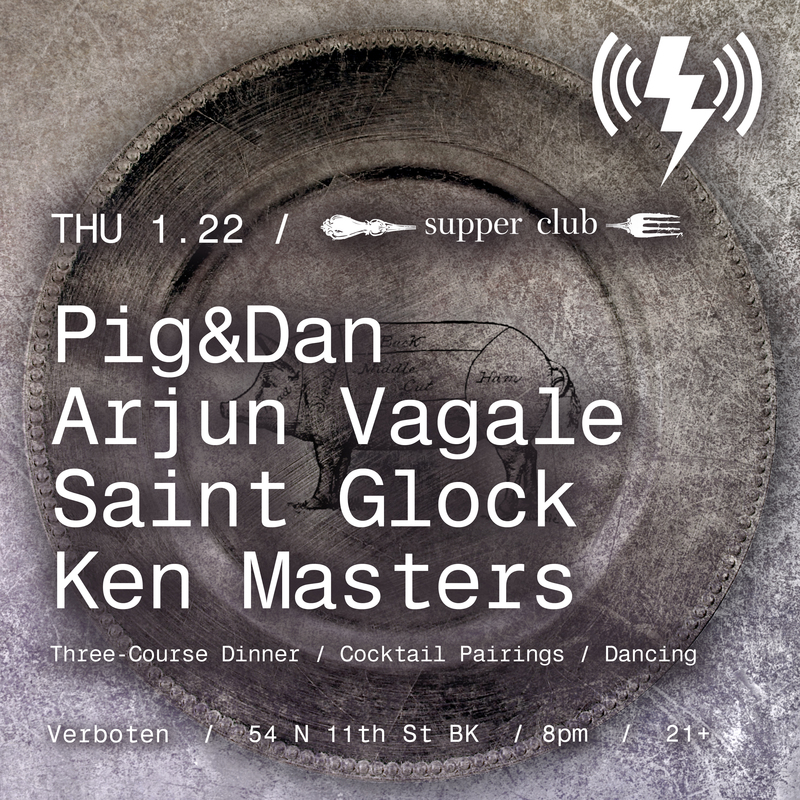 Nestled in the bosom of Williamsburg lies a little place called Verboten. A relatively new venue that has made tsunami sized waves in the underground house music scene of NYC. They began by throwing their own warehouse parties for years, and eventually settled on their own venue space to call home. Verboten is known to be the home of some of the most talented resident DJs on the planet, and also to have thrown some of the best parties on this side of the milky way. But this Thursday 1/22/2015 they are introducing something that aims to satisfy on more than an aural level. The Supper Club is a unique experience where patrons are invited to come dine with the DJ on the dance floor before the show. After dinner is completed the tables are removed and the dinner hall is transformed into a dance floor. This is a really cool chance to be able to dine and dance with the artists. If you have never heard of Pig&Dan then you are certainly in for a treat. They are well known for producing and playing music that is far from linear, they are two people the thrive on pushing the boundaries and creating something that is special to each show. With an almost too good to be true meeting on an airplane in the 1990s these two have been receiving support from the likes of Sander Kleinenberg, Felix Da Housecat, John Digweed and Nic Fanciulli just to name a few. You can check out a few samples of what they sound like below. If you are interested in going to the show you can follow this link for all ticket information.